Gum recession is a common dental condition that occurs gradually over time. The first sign of gum recession is sensitivity, or you may notice the tooth looking “longer” than before. Sometimes you may even be able to feel a notch above the tooth. Gum recession is when the tissue surrounding the tooth wears away, exposing the more of the tooth and root. The exposed root is made of dentin, which is softer than the enamel of your teeth. It may appear more yellow. Recession can cause gaps or pockets that allow bacteria and food to become trapped, causing more advanced gum disease. If left untreated, the gum tissue and supporting bone can become so severely damaged, that the tooth may be lost. Periodontal disease (gum disease) is the main cause of gum recession. Bacterial infections in the gums destroy gum tissue and bone that hold your teeth in place. Improper home oral health care can lead to gum recession. Brushing your teeth aggressively or with a hard bristle tooth brush can actually wear away healthy gum tissue. Without proper brushing and flossing, tartar can build up between the teeth and along the gums and contribute to gum disease. Tobacco users are more likely to have sticky plaque that can build up on the teeth as well. Hormonal changes, such as pregnancy can make gums more susceptible to gum disease. Genetics are also a factor between gum disease and recession. Besides the risk of chipping teeth, piercings of the lip or tongue can rub the gums and irritate them to the point where gum tissue is worn away. Certain physical activity such as grinding or clenching the teeth can cause enough force to cause gums to recede. Teeth that are not in proper alignment may also contribute to gum recession by uneven distribution of the forces of chewing. Gum recession can be treated. 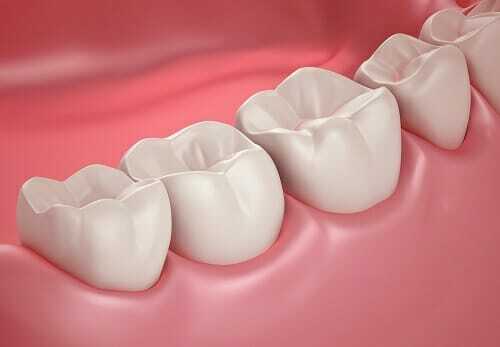 Mild recession may be able to be treated with “deep cleaning” or scaling to remove the hard tartar build up and allow the gums to heal and reattach. More advanced cases may require referral to a periodontist, a dentist who specializes in diseases and treatment of the gum tissue. The periodontist will recommend the best course of treatment for you. The best way to help prevent gum recession is to begin with proper oral health care. Always use a soft bristled tooth brush and floss daily. Follow your dentist’s recommendation for professional dental cleanings. Remember, with regular dental visits, your oral health care provider will be able to closely monitor the health and condition of your gums, and can advise treatment for clenching, grinding or even recommend braces if needed. If you use tobacco products, your dentist can be a great support in helping you quit. For more information on modern dentistry like us on Facebook and follow us on Google+ and Twitter.